I saved over $600 just by using this software! As a programmer and online entrepreneur one of the hardest things for me has always been graphic design. It has also been one of the most expensive aspects to my online business. Next to advertising costs graphics design is the second highest cost I have. Skilled designers are expensive costing anywhere from $30 – $50 per hour for there work. Then you have the time loss cost of working with the designer. Reviewing there drafts, checking there changes, and giving them feedback all takes time. Time that they are not only billing you for but time that you could also be spending doing something more productive. Even something that seems as simple as getting a logo designed can be such a real hassle and expense. Traditionally there have been a few options, none of which are ideal. Hire a local firm: Hiring a local design firm in your city is probably one of the most expensive options ever. A local design firm is going to charge between $250 and $500 for a basic logo design depending where you are located. Also with a local firm your limited to the style and type of work that that firm offers. There is no variety. Freelance sites: Sites like Elance and Odesk have designers that will create a logo for you at low cost. Normally around $50-$100 depending on where the freelancer is from. However there are problems with that. First you have to put a lot of time into hiring a freelance worker. You have type up and post the job, check the reviews of bidders, look at there portfolios, and with most freelance workers you have to basically hold there hand through the entire process. Then you hope that everything goes smooth because if it doesn’t you have a lengthy and annoying arbitration to go through just to get a refund. Over all not the best of options. Crowd sourcing sites: 99designs.com and other crowd sourcing sites will let you get logo concepts from several designers from which you can choose the one you want and only pay the selected designer. However it comes with many of the same problems as just hiring a traditional freelancer. You still have to write up the description and post the job. You still have to review all the submissions and give feedback. Also cost is less than desirable. With a base cost of $299 that can go as high as $1199. Over $1000 for a logo! Thats insane! A while back I bought the logo creator software by Marc Sylvester and Im so glad I did. Honestly Im probably the worst possible person for making a logo. Im so bad with design, color matching, and making things look good that when I take my lady out for a nice dinner she has to pick out my suite or else Ill look like a clown. But with the Logo Creator software Im able to use dozens of preset templates combined with its easy to use interface to build professional quality logos quickly and painlessly. 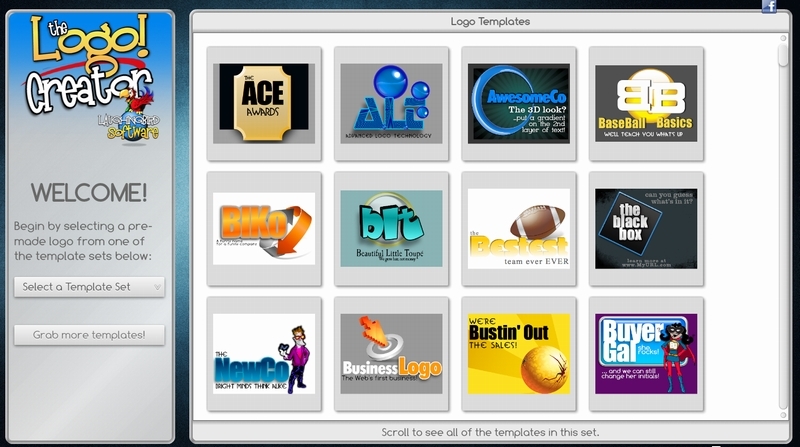 I have used the Logo Creator software for several of my website logos and have saved over $600 in graphic design work. Your logo is going to be a visual representation of your online business it must look great. If you dont have the budget (or the desire) to spend hundreds of dollars on a graphic designer then you should strongly consider the Logo Creator. Its an extremely viable and cost effective way to get high quality logos without the cost. This is the best graphics software I’ve ever purchased and I have the full Adobe suite. I create logos, banner ads, headers and most importantly Facebook ads with it quickly. This is a must-have graphics software for anyone earning a living online. Brett, you hit the nail on the head and I’m glad to see other people like this software.